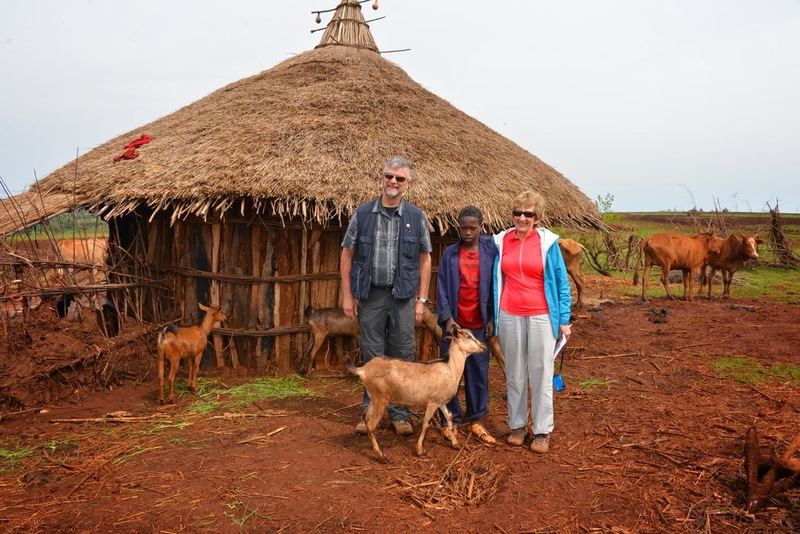 Rosemary and Geoff Gaunt from Lambrick Park Church in Victoria, BC visited their sponsored child, Shamil, in Ethiopia. 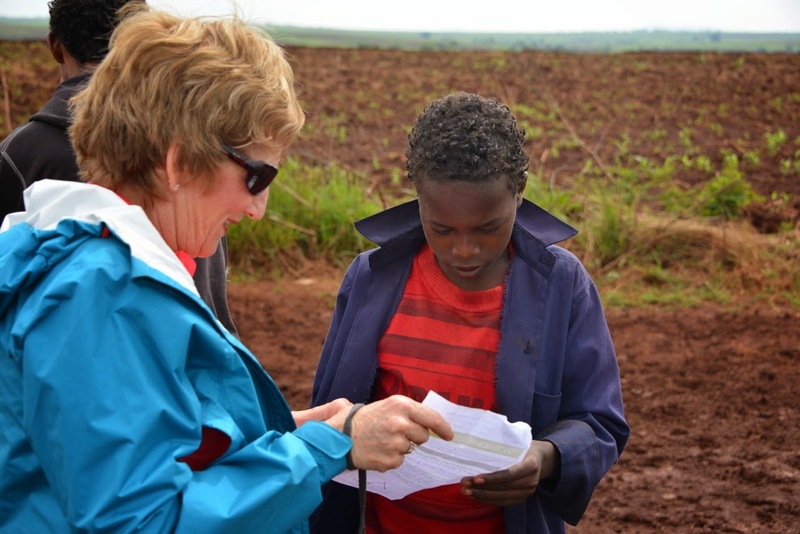 Below is Rosemary's first-hand account of that life-changing experience. Bouncing along in the four-wheel drive down a red dirt road that had once again forded the rushing water of the local river, I gazed out at the landscape – here, the fields were not green. Here, there was only tilled earth, turned over dirt – nothing very beautiful. As the confusion abated we were formally introduced to the children by an FH sponsorship staff member and the questions began. One of the common questions asked of each sponsored child was: “How are you doing in school?” to which they replied by giving their placement in their class. 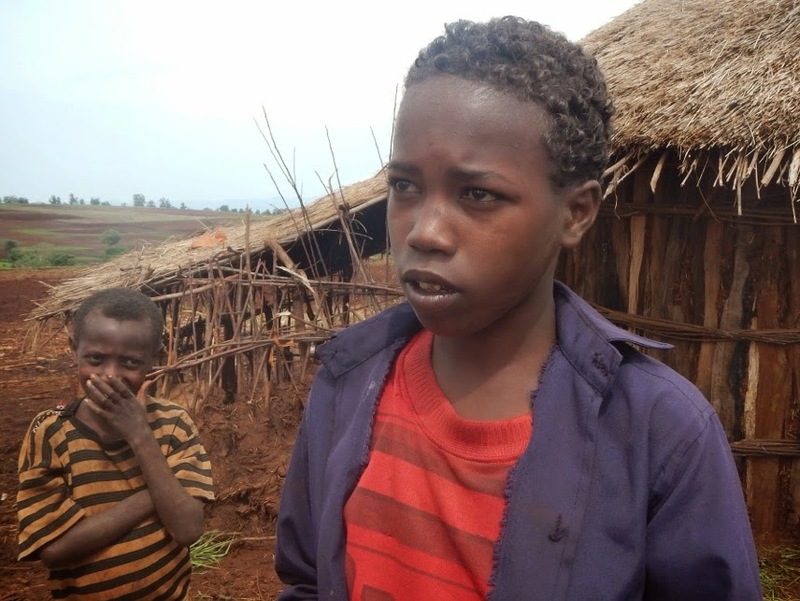 The FH staff translated Shamil’s response, “I am in grade six and am fourth out of 49.” Oromofia is Shamil’s first language and the language used in his school, but he also takes an English class. So when the next question was asked, “What do you want to be when you grow up?” he answered for himself in English: “a doctor,” he said shyly. As we continued to talk, a strange feeling started growing inside me. Completely unexpected, unrehearsed, unplanned - an emotion emerged: a visceral reaction to meeting our sponsored child. I realized I was experiencing what I had felt when I first met each of the three children who entered our home so many years ago - love and bonding like only a mother can have for her child. And here we were in the middle of the African plain! Surrounded by a family and people we did not know, this feeling began to overwhelm me. 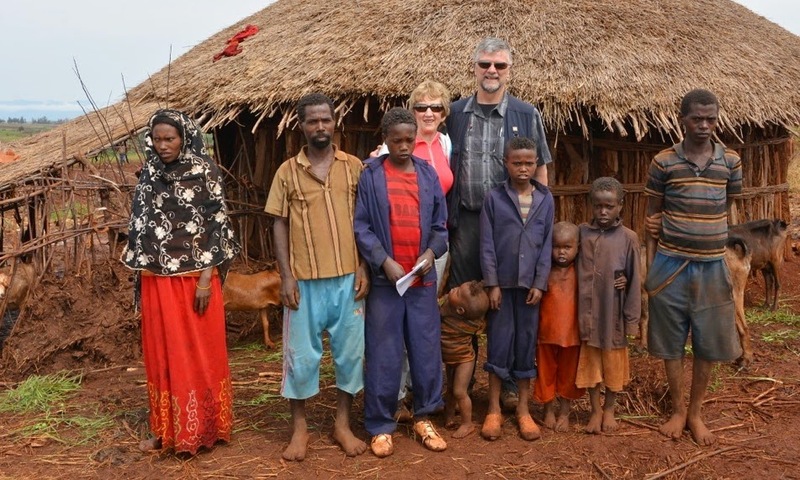 We gathered together for many photos with his family - mother, father, and six brothers, – oh yes, and the goats! You know, those goats that you buy from the Food for the Hungry Gift Guide at Christmas time? 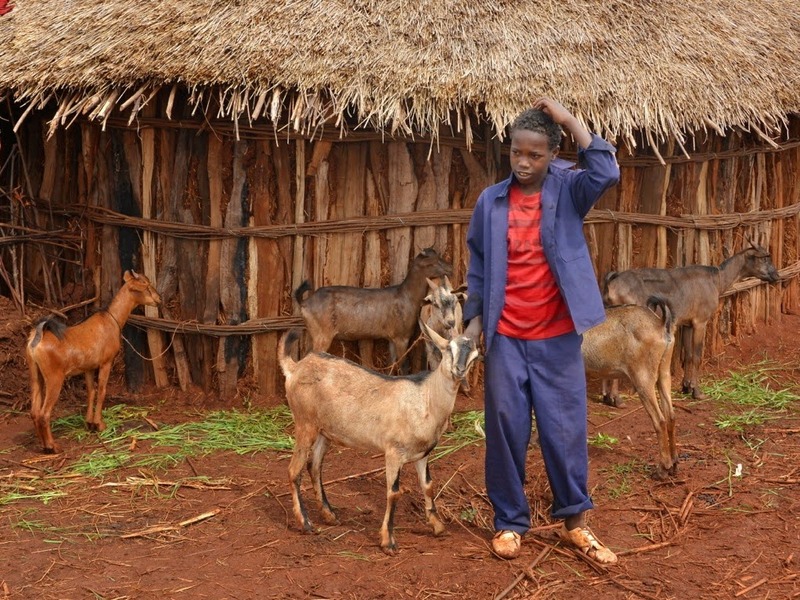 Shamil’s family had been the recipient of two FH goats, and they had now grown their small herd to seven! A substantial increase of the family’s resources. I asked the FH staff where Shamil’s school was. He pointed to a building not far away on the top of the hill – 10 minutes, perhaps. I also asked the field worker about the possibility of high school – indeed, a high school was being built in the local community and Shamil would be able to attend. What an improvement for so many local children to have a high school nearby - not in a distant, expensive city they could never reach. Later, as we visited another sponsored child, we looked up and there was Shamil. He had followed us down the road. 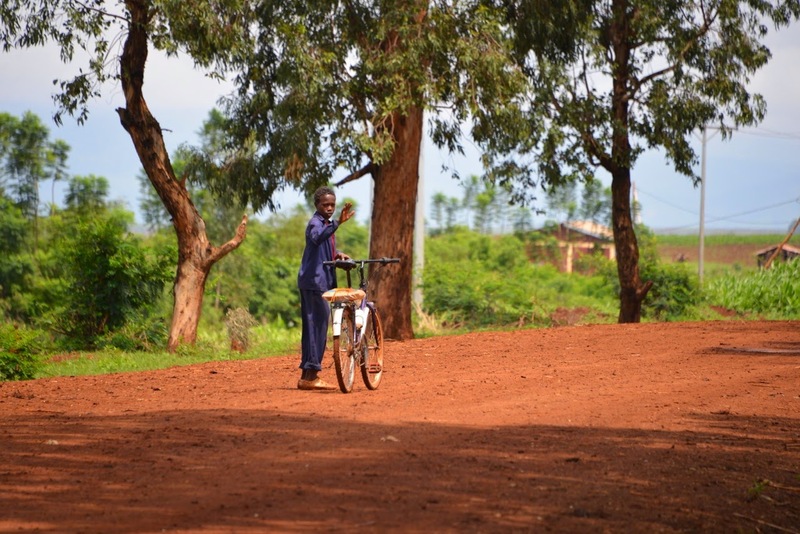 As he got on his bike to ride away, he looked back and waved. He had taken the whole morning off school just to meet us. This was an important event in his life and, quite unexpectedly, it turned out to be an equally important event in my life. It was an encounter that I will never forget - a meeting by a small, round grass hut with a thatch roof of long teff grass bound together into a pointy top. And a boy name Shamil, dressed in his faded blue school uniform, smiling. To find out how you can get to know an amazing kid like Shamil, visit the Food for the Hungry sponsorship page or chat with someone in person toll free at 1-800-667-0605 or locally 604-853-4262.